Since I've been teaching, we've provided English Language Learners with extensive instruction. After all, how the hell are you supposed to pass all-important standardized tests if you don't even understand the language? For the last few years, I've been teaching beginners. The first time I taught ESL I taught beginners. I've found many of my colleagues avoid this. I don't know why, because I love it. They make rapid progress. You can see it before your eyes, like when children are growing up. Beginners, since I started in the eighties, have gotten three periods a day of instruction. Intermediate students got two, as did advanced. Proficient students, those who tested out, usually got one period but sometimes got another to help them along. Because placement tests are usually total crap, because they gave the same one for decades, and because some kids guess well for no reason, I've often seen kids at high levels come back for help. NYSED knows everything, though, and has determined we have to stop coddling these kids. 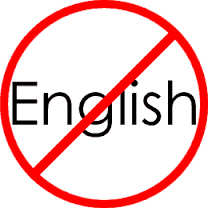 So now, for one period a day previously devoted to English, all ESL students in NY will take a subject class. They can either take this class with a dually licensed teacher, for example a math teacher with an ESL extension, or it can be co-taught by two teachers--one ESL and one subject teacher. This is one of the stupidest ideas I've ever heard in my life, but it will save money that can be devoted to tax breaks for billionaires. Therefore Merryl Tisch and Andrew Cuomo can have a laugh over a Grey Goose martini at the next gala affair in which their paths cross. So it's all good for them. In my school, we will have classes of social studies/ ESL. This is as good an idea as any, since social studies entails a lot of reading and writing, as does English. But it's still awful. Let's say, for example, that your history class entails, A, B, C and D. Let's further say that A, B, C and D are required for the Regents exam, without which you can't graduate. So you now need to cover A, B, C, D, and English as well. Who knows whether the English levels in the room will be the same? Shall we differentiate by teaching multiple levels of English as we teach history? How the hell do you do that without losing C, D, or some part thereof? And how do you incorporate beginning English into World War II? Present progressive? Look. The Reich is bombing London. There's the Gestapo, rounding up people for the concentration camp. Certainly more colorful than, "I'm studying English." But aren't you supposed to be studying English? Not really. Not anymore. It's Core, Core, Core, and no more of that touchy-feely crap. Renowned Common Core genius David Coleman says no one gives a crap how you feel or what you think, and if he says it, that ought to be good enough for anyone. If his life is one of tedium, drudgery, and humiliation, why shouldn't yours be too? In his defense, however, I actually don't give a crap how he feels or what he thinks. And why should I? He knows nothing about language acquisition. Nor does NYSED. What do they care that it takes three years to learn a language conversationally, that if varies greatly by individual, or that it take 5-7 years to learn academic English? NYSED says screw, "My name is _____," and let them all study the holocaust. Maybe they don't need to know, "My name is ____" because if these kids get the jobs in which the reformy Walmart family wishes to dump them, they'll wear name tags anyway. But while tags tell people what their names are, it's still unlikely anyone will question them about the holocaust while seeking out that 9-gallon jar of Vlasic pickles. By degrading jobs that require actual introspection, like teaching, while offering bargain basement standardized nonsense like this, we actively degrade our children and their future. It's unconscionable that the demagogues in charge of education would take one moment away from our English Language Learners. Whoever thought of this belongs in prison with Silver, Skelos, and Cuomo, And Tisch too.